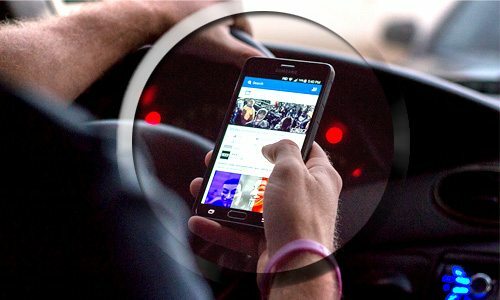 How to Prevent of Illegal Secret Surveillance on Cell Phone? Home Blogs How to Prevent Illegal Secret Surveillance on Cell Phone? Cell phone surveillance or spying means that to monitor anyone without having the consent of the target person. Then get access to the target mobile phone device in order to get their hands on the data in terms of messages, call logs, social media tracking, to view browsing history, location tracking and plenty of others activities that can damage the privacy of the target person. Undoubtedly, over the years cell phone spying has been very effective in terms of parenting and as well to protect the business by tracking Employees Company’s owned devices but at the end of the day monitoring without consent or permission is a serious crime. It even enables the police department and helpful for law enforcement agencies to track the location of the criminals, to listen to their hidden conversations and number of other reasons that are beneficial for some group of peoples. Anyhow, this method could be the substantial risk that the services used for illegal purposes and endanger human safety such as stalking, monitoring intimate partners and to threaten women by tracking the location, can be used for the sack of revenge and to view videos and photos of the target cell phone gallery. How can you protect yourself from being tracked or monitored secretly? In case you have found that the battery of your cell phone behaving unusual and decreasing rapidly, it means that there is a high chance a cell phone spy app has been installed on your smartphone. It uses the cell phone battery excessively. However, most of the contemporary programs have solved these type issues to some extent. If someone has installed an old version of the spyware on your then it will decrease the battery of the phone faster. There is a number of spying applications that make your phone sometimes to ON and OFF the phone itself. If you are facing this type of issues back and forth, then it is the clear indicator that you are under the radar of secretly spying. However, spy apps with good programming never do that at all. 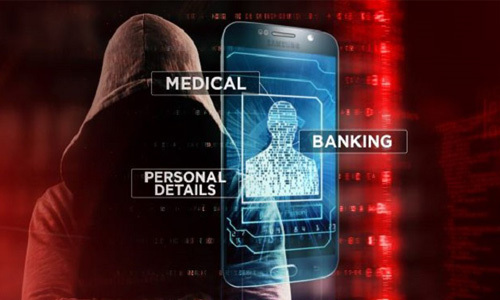 If you are receiving the unusual, unknown and flying text messages along with number and symbols, it means someone is hacking your cell phone device. Because most of the spying tools of the spying application have to create a command and then send it to the target cell phone device to get monitoring results. If you have come to the point that your cell phone has started consuming data usage and it has gone up, then it is the clear sign of the spying product installed on your device. Because the spying apps send data log of the phone and the entire gathered information through online dashboards and most of the apps were big in data transfer. 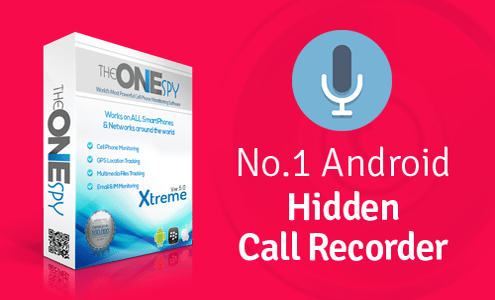 It is very technical stuff to detect if the user has listened to the noises in calls on the regular basis that it is evidence that your device has the spying app installed on the backend. However, it can be also possible due to the poor connection of the network that makes things more complicated for the victim. You can use the following mentioned tips to protect your privacy against spy apps that can hack your cell phone information to the fullest. Always stick to the play store and never try to install the third-party apps even your cell phone allows your device to install the attractive programs without rooting or jailbreak of your device. Because your phone app store is the best place to fulfill your needs and help you out the installation of the malicious programs on your cell phone device. When you install the new apps on your smartphone they will ask for the access. Usually, it will ask defiles such as camera, photos, and location, but there are apps that demand more than enough such as contacts and your profile information. So, don’t give the access to these apps at all. Don’t run your device without having the antivirus or malware detected software, so don’t ever think of to use your cell phone device without the installation of anti-virus software. Because it will alarm you that your device has security risk and you need to remove the malware. You should use the lock screen in order to make sure that someone has not used the cell phone device unattended. Because anyone can get access to your phone and can install the spy app on your target phone. So, all you need to do is to lock the screen of your phone, because most of the spyware cannot be installed without having the physical access on the phone. Use strong and lengthy passwords by using the upper and lower case letters to make the password complex for the hacker or the person that want to install the spyware having physical access on your cell phone. No one will enable someone else to use the services for free, but when a user connects the phone with the public network, it opens its phone security to everyone else on that particular network. So, don’t connect your phone with the open Wi-Fi network on the users in the vicinity. Because the security of your device you have put at stake. How TheOneSpy cooperate with law enforcement to assist victims fully? In recent months the spyware that is available in the market and you may have seen the advertising openly on the internet about popular spy apps for parenting and employee monitoring. All these monitoring products claim that they have developed for parenting and employee monitoring reasons including TheOneSpy parental control software and it is quite the truth and all these products have mechanism and procedure and verification process before handing over the license to their buyer. Once the buyer has installed the monitoring app on the target cell phone they cannot hide the icon of the spy app for cell phone and they have to use it with the consent of the target person for their own safety. Furthermore, the target person receives back to back a notification that someone has eyes on you. The target person can view the icon of the cell phone tracking app and can make a click on it and get the detailed information. If the target person did not provide the consent they can visit the report abuse/violation along with necessary information such as IMEI number of the phone. Resultantly, the authorities will terminate the violators account to stop the illegal monitoring activity on the victim’s phone. However, TheOneSpy will document the violator’s information stored in the online control panel and will help out the cybersecurity experts, domestic violence prevention communities and law enforcement agencies to assist the victims of misuse. TheOneSpy will cooperate fully on the behalf of the victims if they are willing to sue the violator in the court of law and we are bound to provide the information on the request of the victim to the law enforcement agencies.